Your Guild’s contract with the local clan of Delzoun Dwarves is now paying dividends! 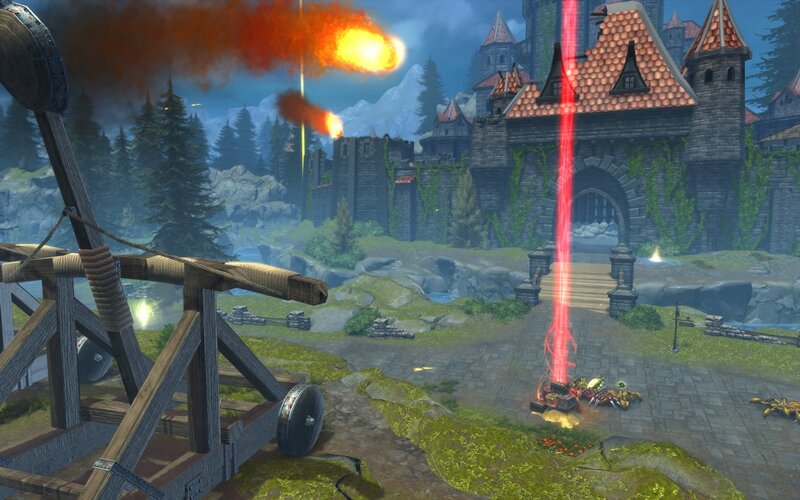 As repayment for the help your Guild has provided in driving away some of the local miscreants, the dwarves have brought cart-loads of building supplies to your guild’s stronghold. Before the dwarves can be asked to help move these supplies to a more proper storage area, they immediately prepare to depart. One of the dwarves, almost as an afterthought, mentions seeing a group of bandits on the way here that looked like they were gearing up to steal the recently delivered supplies. Shortly after the last of the dwarven carts disappears in the distance, a battle horn is heard and a bandit raiding party crests a nearby hill. Gather your guild to protect the newly delivered building supplies before they are all stolen and your guild is left with nothing. 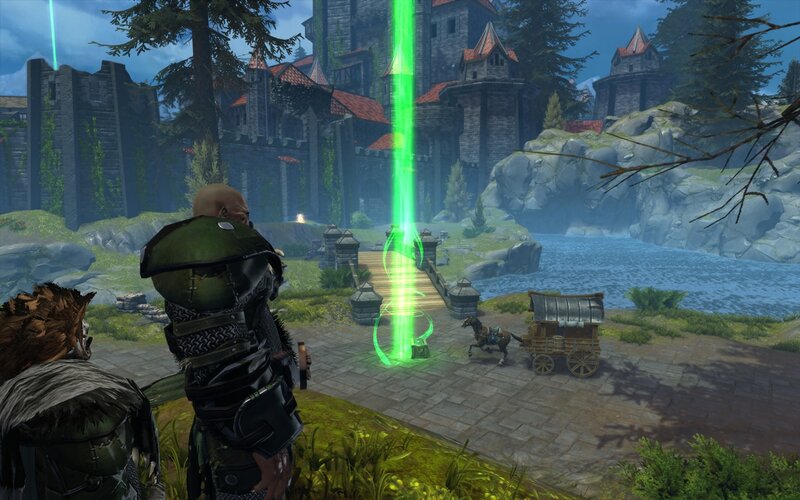 Releasing with Neverwinter’s Shroud of Souls module, the Stronghold Marauders event pits guilds against hordes of enemies in order to protect reward caches spread around the exterior of the guild’s stronghold. Fighting will increase in ferocity with each wave of enemies sent to steal your rewards and enemies will occasionally bring a few surprises to catch unobservant guilds off-guard. 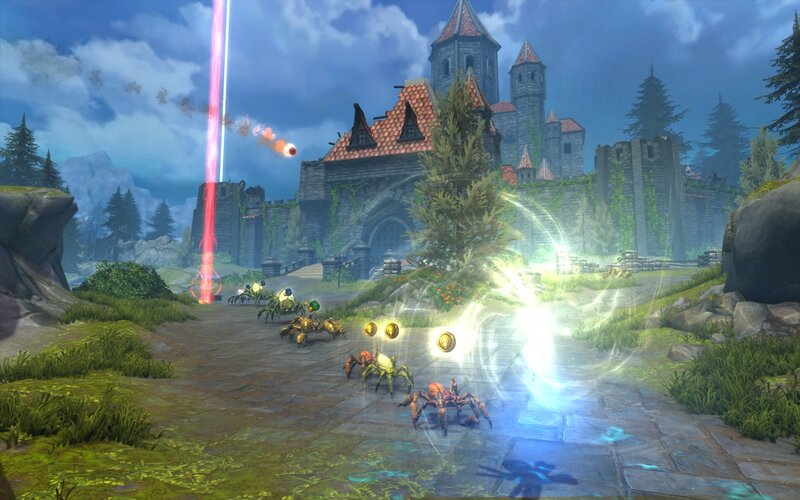 Every five waves, there’s a brief respite in the attacks when guilds can elect to take their rewards and retreat into their stronghold, or they can signal for more carts to come and add additional rewards. However, additional rewards also result in yet tougher enemies being enticed to come and attempt to steal not only the new rewards, but the existing ones as well. Rewards from this event consist of vouchers to fill your guild coffers and will be given to all participants in this event who are present when the guild elects to claim their rewards. Additionally, the first time a player participates in this event in a week, they will receive an additional 600 Influence for successfully completing this event. To start this event, talk to your guild’s Seneschal, who will appear every two hours in front of your guild’s stronghold and remain there for 15 minutes or until someone starts this event. These times are all listed in the Upcoming Events tracker on your in-game homepage.